The Jimmy John’s Rockstars located at 3813 Wards Rd. make Freaky Fast® sandwiches using only the freshest ingredients. Quality is our way of life. 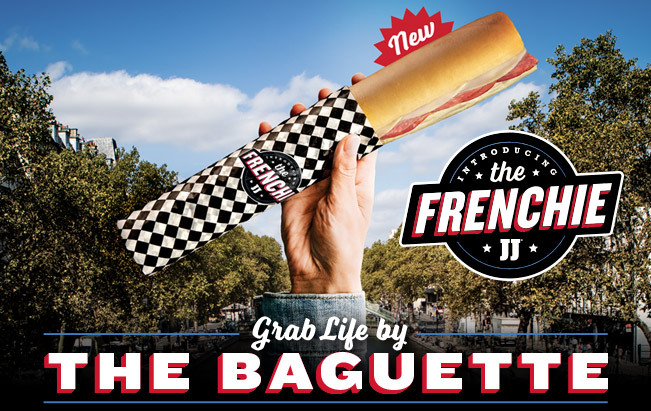 Our French bread and 9-grain Wheat bread is baked all day, every day by your local Jimmy John’s team. It’s always served less than 4 hours out of the oven. We use all-natural*, high-quality meats, and your local Lynchburg Jimmy John’s team hand slices and weighs each portion to perfection daily. Our veggies are locally purchased, delivered fresh right to the store, and hand-sliced daily. We puree our hot cherry peppers into fresh buttermilk to make Kickin’ Ranch®, and our homemade tuna salad is made from scratch with fresh sliced onion, celery and our special sauce. Fresh food made from scratch is just how we roll. Sandwiches made with love every single day, since 1983. 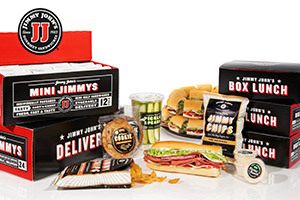 If you need delivery, Lynchburg Jimmy John’s has you covered, as long as you’re in our famously small delivery zone! We’ll even deliver one sandwich! We also offer catering for any occasion. Give us a call or stop by to learn what we offer to best fit what ya’ need – a pack of Mini Jimmys®, Box Lunches, Party Platters and tasty sides. Whether you need it delivered, picked up or set up – you name it, we’ll do it! 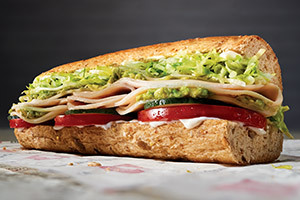 Support your locally owned Lynchburg Jimmy John’s today! 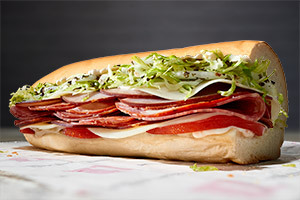 Stop by or order online at jimmyjohns.com. *All-Natural means our meats are minimally processed (except for caramel color on roast beef) and contain no artificial ingredients. 3621 Blue Hills Village Dr.